Spring is a great time to take stock and wipe off the cobwebs at home. Within the sales engineering department at SoftLayer, we thought it was a good idea to take a deeper look at our hardware firewall products and revamp our support documentation. Whether you’re using our shared hardware firewalls, a dedicated hardware firewall, or the FortiGate Security Appliance, we have lots of new information to share with you on KnowledgeLayer. One aspect we’re highlighting is a series of articles entitled, “How Do I?” within the Firewalls KnowledgeLayer node. A “How Do I?” provides you with a detailed explanation about how to use a SoftLayer service or tool with the customer portal or API. For example, perhaps your cloud admin has just won the lottery, and has left the company. And now you need to reorient yourself with your company’s security posture in the cloud. Your first step might be to read “How Do I View My Firewalls?” which provides step-by-step instructions about how to view and manage your hardware firewalls at SoftLayer within the customer portal. If you discover you’ve been relying on iptables instead of an actual firewall to secure your applications, don’t panic—ordering and securing your infrastructure with hardware firewalls can be done in minutes. Be sure to disable any accounts and API keys you no longer need within the Account tab. 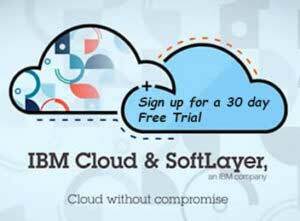 If you’re new to SoftLayer and our portal, take a look at our on-demand webinars and training video series. Now that you’ve identified the types of firewalls you have protecting your infrastructure, fel free to drill in to our updated articles that can help you out. If you’re running a dedicated hardware firewall and want to know how to manage it within the portal, this “How Do I?” article is for you. We’ve also tailored “How Do I?” entries for shared hardware firewalls and the FortiGate Security Appliance to help you beat the heat in no time. The SoftLayer customer portal also provides you with the ability to download firewall access logs in a CSV file. See for yourself how the Internet can truly be a hostile environment for a web-facing server. Every access attempt blocked by your firewall has saved your server from the work of processing software firewall rules, and keeps your application safer. We know that not all issues can be covered by how-to articles. To address that, we’ve also added a number of new entries to the Firewalls FAQ section. Keep the feedback coming! We’re here to help answer your sales-related technical questions. And be sure to check out our latest Sales Engineering Webinar: Creating a Digital Defense Plan with Firewalls.